The Venturers at MDPC welcome all guests age 50+, whether Couples, Singles, Working, Retired, Empty Nester, or simply Visitors. "From Snow Boots to Cowboy Boots, What I Love About Houston!" RSVP to Carolyn Anglum at 713-978-6680 or . Your check and reservation form (download here) must be received by Tuesday, April 30. Since asking Jesus to come into her life at four years of age, Beth Case has grown in her knowledge of Christian faith and practice and in her relationship with Christ Jesus. She graduated from Moody Bible Institute with a Bachelor of Arts in Youth Ministry and, after a brief stint in youth ministry, spent a few years coaching college women’s basketball. As much as Beth enjoyed sports (and liked to win) she cared more about the holistic lives of the players than about the points on the scoreboard. This God-given passion for people led her back to full-time ministry in the local church. Beth’s seminary years were spent at Gordon-Conwell Theological Seminary where she earned an M.Div. and a Th.M. She has served in children’s, student, and music ministries, as well as in contexts of discipleship, teaching, and compassionate care, and has completed a Spiritual Direction certification. She is rather new to Texas, having arrived here in December 2017. She is delighted to be worshiping with and serving alongside the brothers and sisters at MDPC. 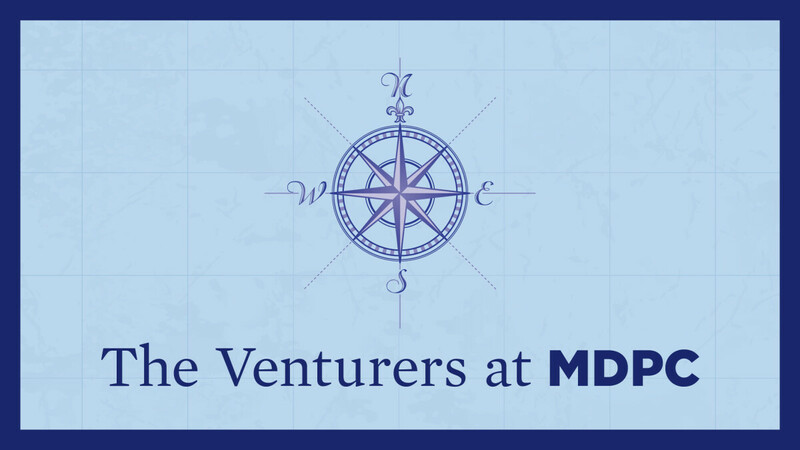 To learn more about The Venturers at MDPC, click here.